Gençtürk Caddesi 51-53, 34480 Istanbul, Turkey. 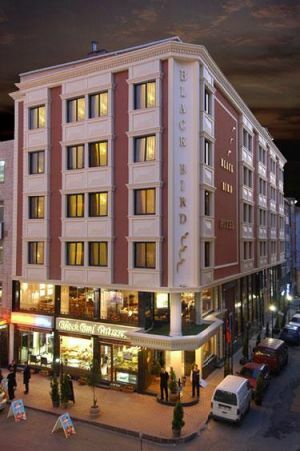 Hotel Black Bird is refurnished in 2005 and offers 81 rooms equipped with air conditioning, heating, tv, safe box, music channel, telephone and mini bar. 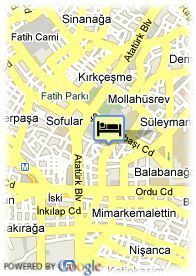 The hotel offer laundry service, discotheque, tv lounge, fitness, sauna, turkish baths, parking, restaurant and bar. It's about 16 km from the airport. Paid covered parking at the hotel (10.00 €). Near exhibion centre, Near trainstation, Near to the university, Centre, Harbour, Museum Area, Near the historic centre, Near shopping centre. For older children and adults 50.00 € for each additional bed is charged.